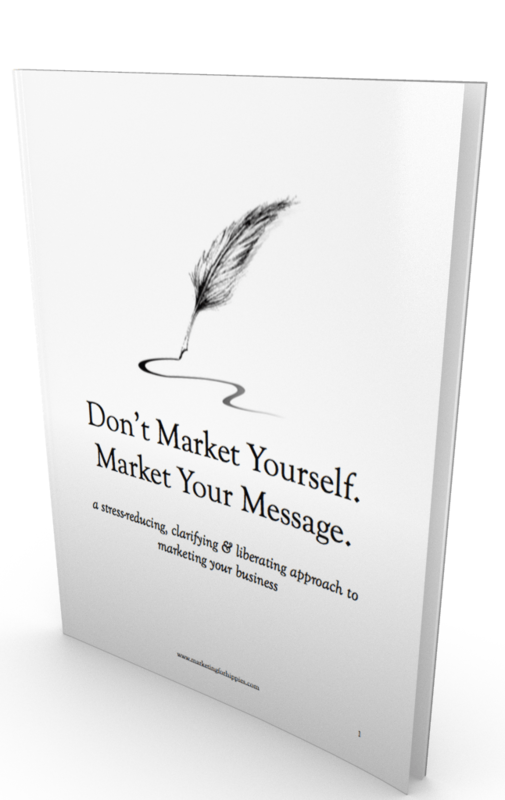 This 237 page eBook may be the most practical and important eBook on marketing that I’ve ever written. Hub Marketing is the core concept and practice that I have used to grow my own business and use to help my clients grow theirs. Hub Marketing is about putting your marketing where people are already looking and listening. 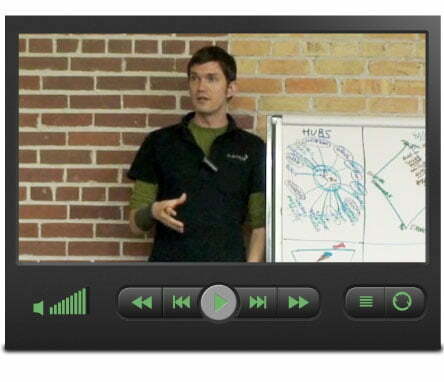 - Identify the seven major types of hubs (you wouldn’t believe what you might be overlooking). - Figure out exactly how to keep track of your hubs (so critical! most people are crap at this). - Know how to approach hubs so that they’re most likely to want to support and promote you. - Figure out how to build your relationships with your hubs over time (this is so important). - Understand, through dozens of real-life examples, how Hub Marketing can work. - Learn how becoming a hub can transform your business (and the hidden dangers in this). BONUS! 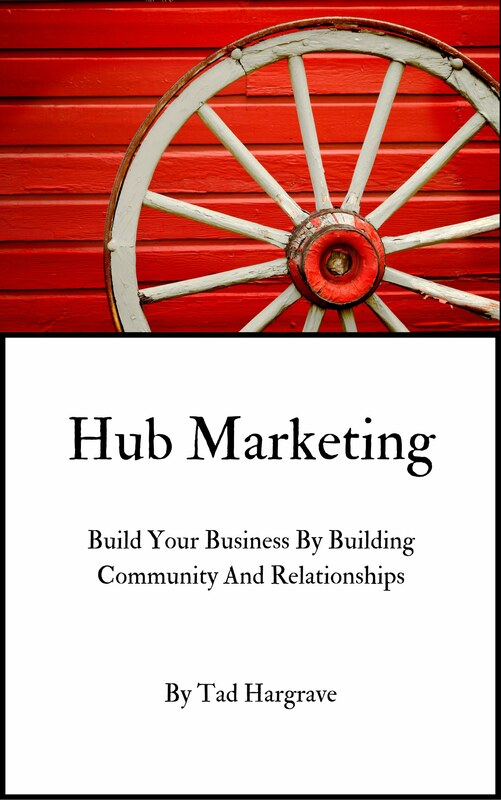 The Hub Marketing Workbook is include for free with this eBook. This workbook guides you through the best, most useful questions I've come up with over the years while working with hundreds of entrepreneurs to help them figure their own hubs out. Are you a coach who feels stuck around offering higher priced packages? 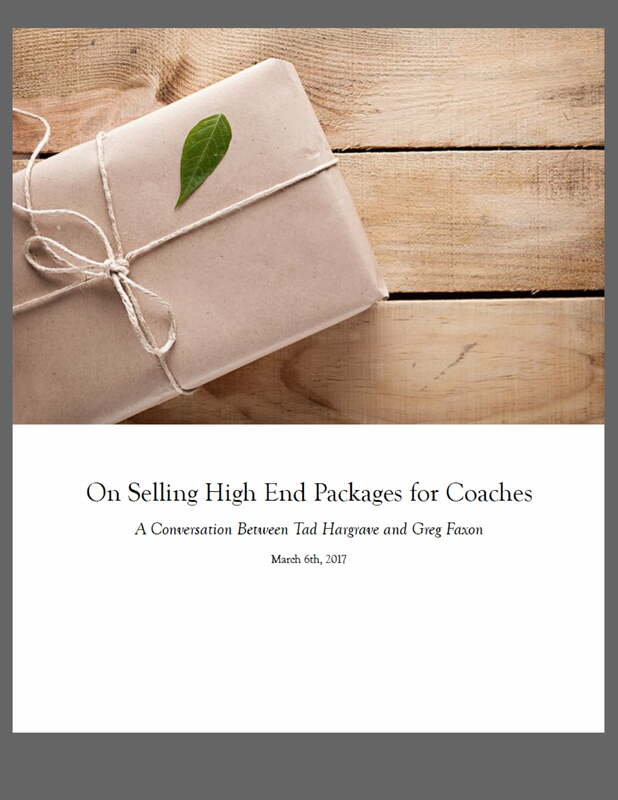 This 33 page transcript is chock full of real-world examples and a variety of strategies around high end packages and offerings. The first job of marketing is to get people's attention. That's job #1. If that job isn't accomplished, nothing else matters. And it's not an easy job because you've got about three seconds to get someone's attention when they come across your website. When your ideal clients hit your website, blog or sales page you want them to read your words and say, "That's me! This was written just for me!" not, "So what." Remember this always: the confused mind says "no." If people look at your posters and brochures and don't see how what you're doing is relevant to them (or those they care about) it's over. You might be the best person in the world to help them but if they don't see that? It's over. 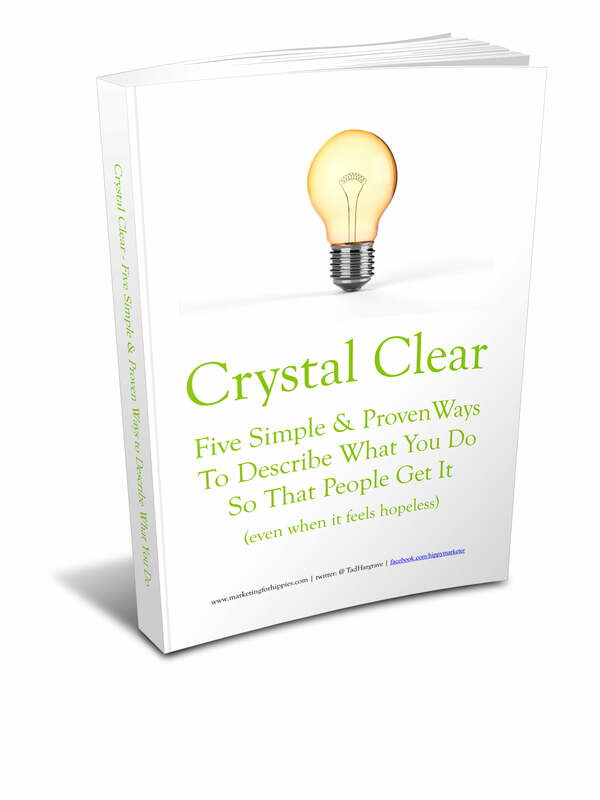 In this eBook you'll read all sorts of examples and strategies to clarify the journey and results you are offering. 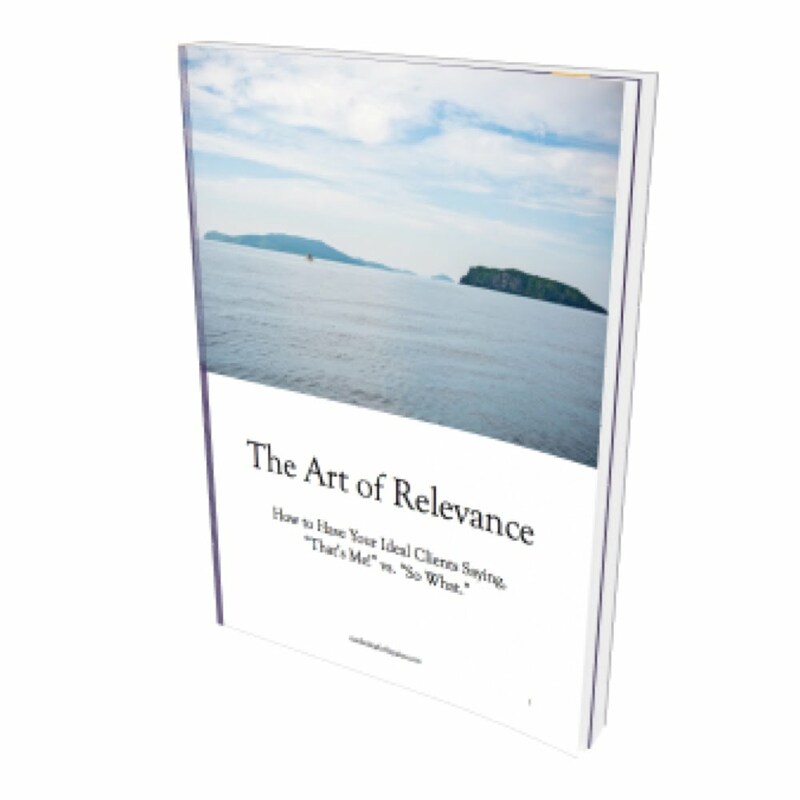 BONUS: The Art of Relevance Workbook guides you through the best, most useful questions I've come up with over the years while working with hundreds of entrepreneurs to help them figure these very things out. Who am I to Teach and Charge for it? “Who Am I To Teach?” The question is real. We’ve asked it of ourselves many times and likely will many more. 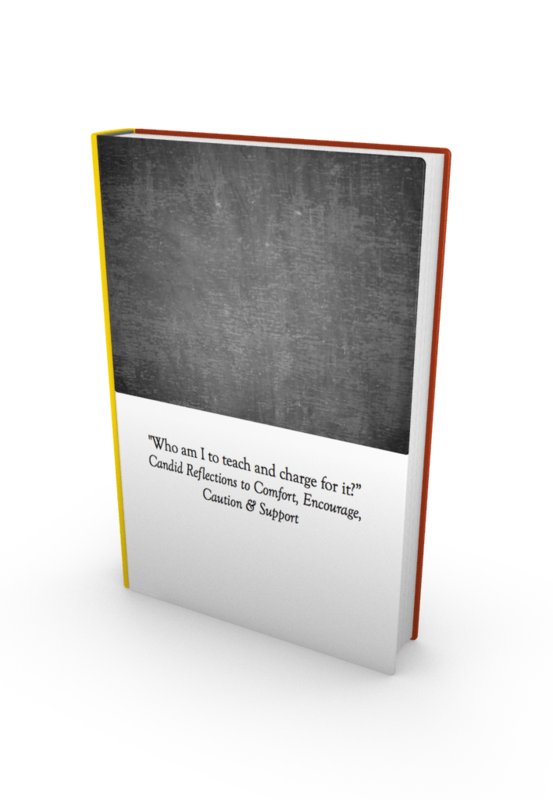 In this 101 page eBook, you will learn about Comforts & Encouragements, Caveats & Afflictions, and Paths Forward in relation to teaching your work and being grounded and confident as a teacher. 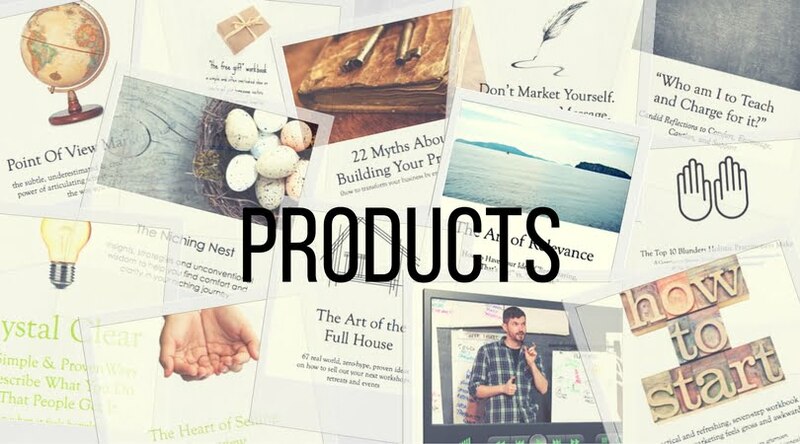 67 real world, zero-hype, proven ideas on how to sell out your next workshops, retreats and events. If you have events you need to promote, then this is the eBook for you. You might be an entrepreneur whose income relies on promoting your workshops, seminars and retreats. Or perhaps you’re a society, non-profit or community group that advances its mission using parties, conferences, gatherings, summits or festivals. Either way, you're someone who need to get people out to your events. The subtle, underestimated & credibility-building power of articulating why you do what you do the way you do it. If you've been following my work for any amount of time, then you've heard me talk about the importance of point of view in marketing. Your Point of View is your perspective, your philosophy, your approach. Your niche is central to relevance, whereas your point of view is absolutely central to trust and credibility. Aside from niche, point of view is the missing element in 90% of the businesses I come across. 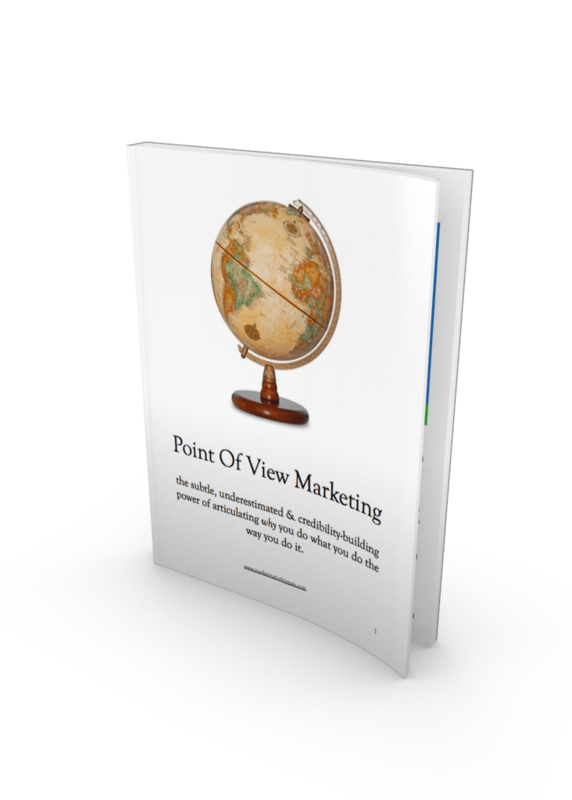 - learn more about three core elements of point of view (map, compass and route) and how they apply to your business. Understanding the differences between these three elements can make a world of difference in how quickly and easily you identify your own point of view. - read dozens of real-life examples of point of view from five major categories of life (i.e. health, money, relationships, spirituality and contribution). After reading these, you'll start seeing point of view everywhere. 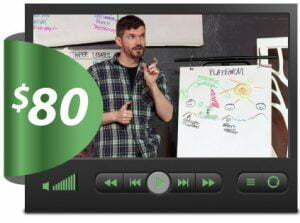 - learn the three stages of articulating your point of view. This section is one of my favourite things I've ever written. BONUS! The POV Workbook is include for free with this eBook. This workbook guides you through the best, most useful questions I've come up with over the years while working with hundreds of entrepreneurs to help them figure their POVs out. A practical and refreshing, seven-step workbook to use when marketing feels gross and awkward (you can do it all in one lazy, rainy afternoon and you'll use it for the rest of the life of your business). 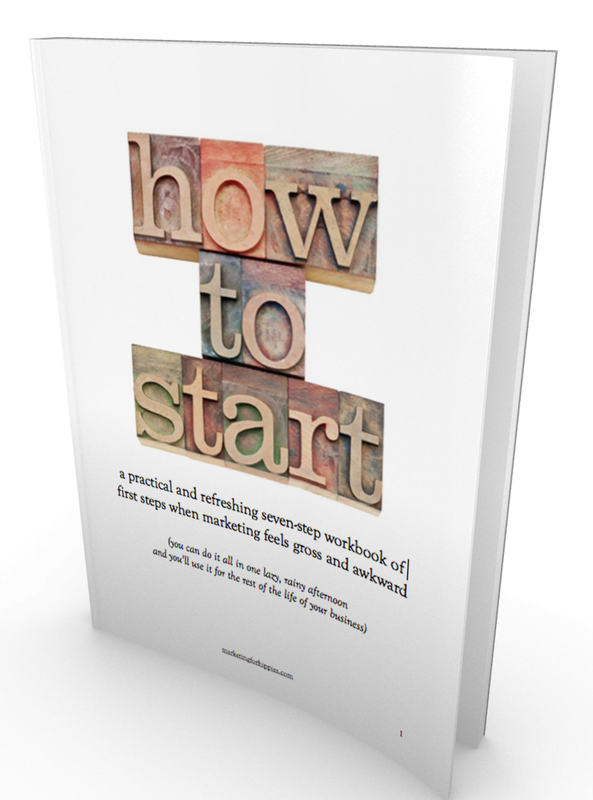 This is a tiny workbook about a little idea that could make a big difference in every piece of marketing you ever do from here on. Here’s the little idea: what if you made the heart of your marketing strategy about how your marketing feels to you and others? If you have a business, you are going to be known for something. It's inevitable. The question is this: will you be known for the right things and will your reputation bring you the kinds of clients you want? It might take you a while to find your message. 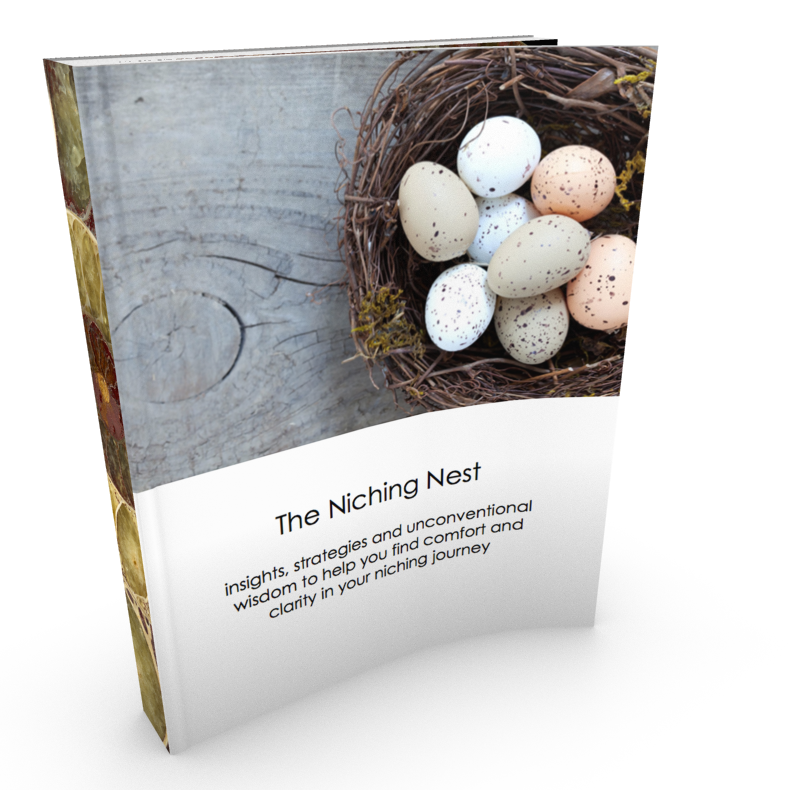 And, in the process, you’ll likely come to find that, even though your business may be guided by one particular overall message, that it contains many messages nested within it like eggs in a bird’s nest, or treasure in a treasure chest. Or maybe it’s more that your core message is a tapestry seen from a distance but, as you get closer you can see the individual threads. Insights, Strategies and Unconventional Wisdom to Help You Find Comfort and Clarity in Your Niching Journey. 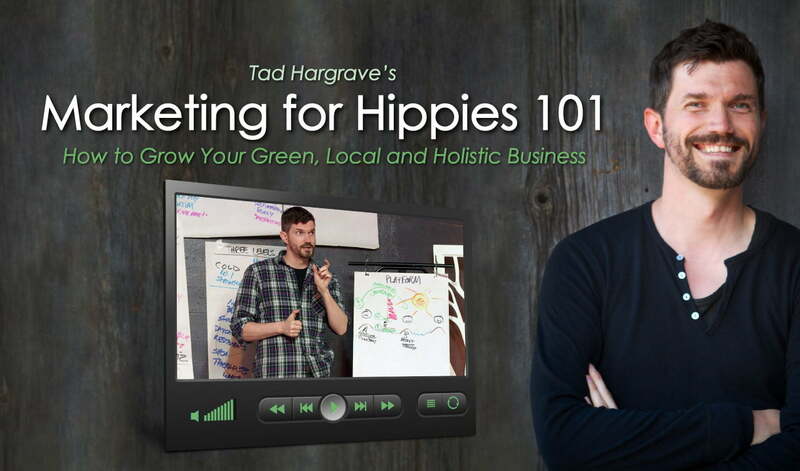 Tad Hargrave's two-and-a-half hour Marketing for Hippies 101 video on how to grow your green, local and holistic business. Learn the marketing secrets of North America’s most successful green, holistic, community-minded entrepreneurs and attract more of the clients you want (without ever sacrificing your integrity or spending a fortune). PLUS three bonuses: the 60 minute bonus video, The Complete Marketing for Hippies 101 Transcript and The Marketing for Hippies 101 Workbook & Bonus Reading. For More Info, click here. NOTE: If you purchase this product, be sure to check your email as a password will be emailed to you to access the videos. Sales. This is an area where I see many service providers struggle. And, years ago, it was an area where I had some confusion and questions too. And, so I called up my dearest colleague and marketing bromance Mark Silver to delve into this perilous and sticky terrain and get his perspective on how to sell without any of the grossness or awkwardness. 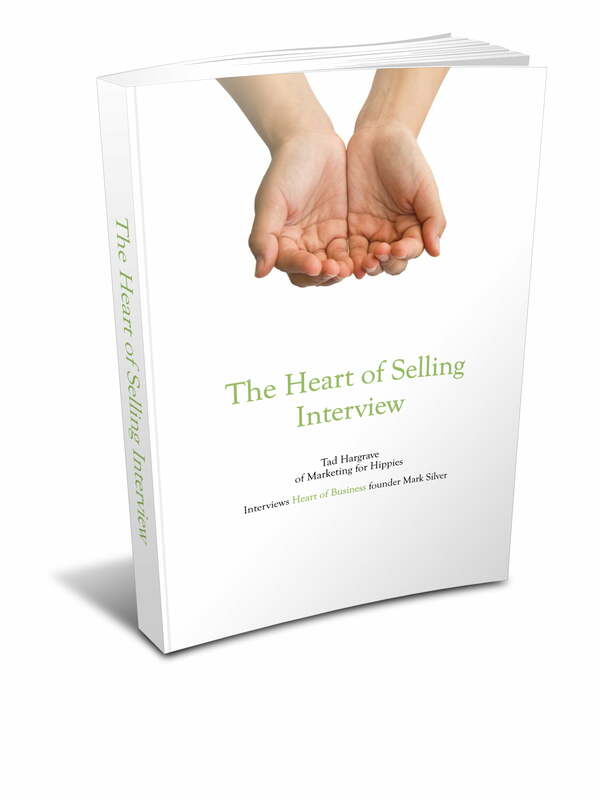 We recorded the conversation and, years later, I am finally releasing this 83 page ebook to the world (with a few added bonuses). Who Is It For? Service provider (e.g. 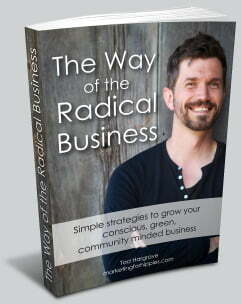 holistic practitioner, life coach, permaculture practitioner etc.) who don’t have as many of the kinds of clients as they’d like to have but who hate the idea of selling anyone anything (e.g. trying to get someone to book the first appointment because they’re terrified of coming across as pushy. Also – those who feel really uneasy about asking clients to rebook at the end of the session). 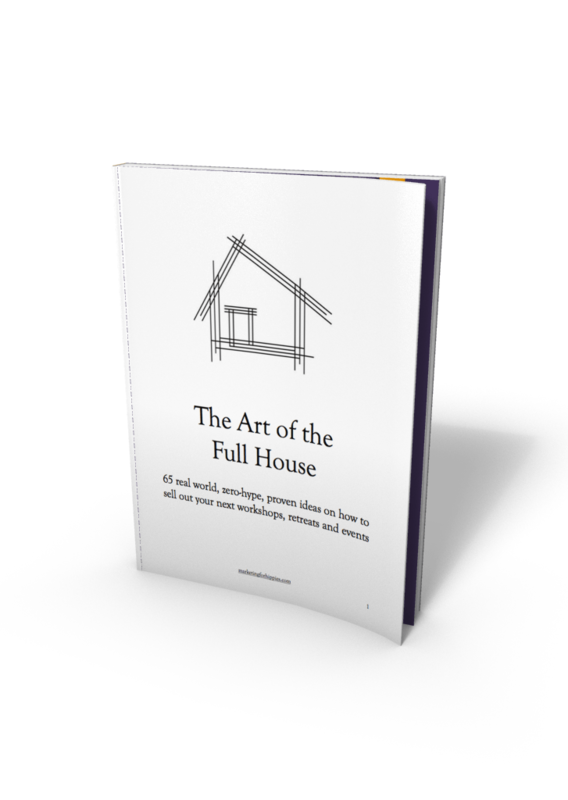 If you’re a service provider like an holistic practitioner, life coach or permaculture practitioner who is struggling to get enough clients, this 40 page ebook is well worth the time and money. In my experience, most service providers make the same blunders. And if all you do is to stop making these blunders, you’re well ahead of the game. 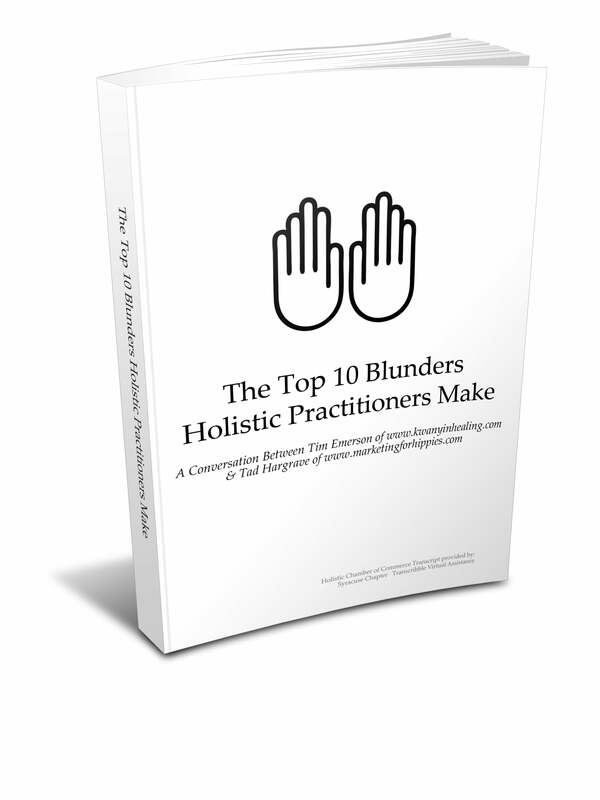 This 53 page ebook delves deep into what I see as the 22 most pervasive and limiting myths that holistic practitioners, life coaches and permaculture folks often come to believe. 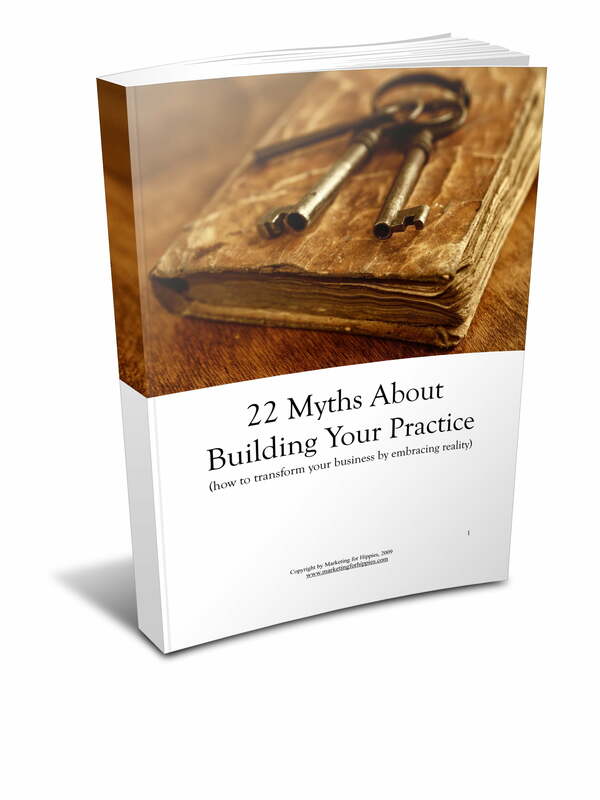 This is my belief: most practitioners fail not because it’s inevitable, but because they believe certain myths about building their practice. They are like lenses or filters they look through that colour everything. When I say ‘myth’ I mean the assumptions that most practitioners operate under about what is normal and what is possible. These myths determine what they do and don’t do in their marketing. Who Is It For? : Holistic practitioners who have been stuck in a plateau for a while in their business growth (and can’t figure out why). You must be open to the idea that what’s holding you back are your own unquestioned thoughts about business growth. In ten hours or less you could have many more of your homepage visitors excitedly joining your email list – simply by offering them a thoughtful and useful free gift. Who Is It For? 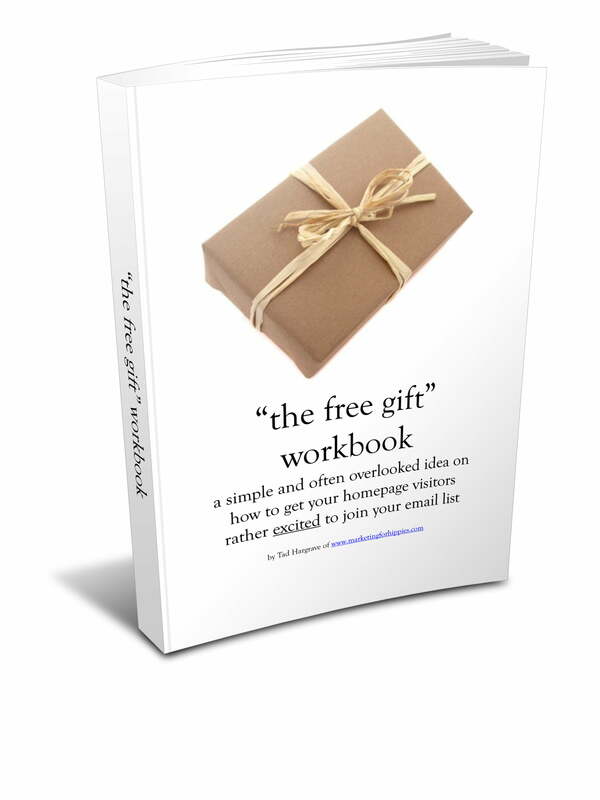 : “The Free Gift” workbook could be profoundly useful to you if you have your own website for your business, you’re excited about growing your email list, you’re crystal clear on who you are trying to reach, the problems they’re struggling with that you can help them solve and the results you’re excited to help them produce and you’re willing to make a one time investment of at least 5 – 10 hours to create something really extraordinary. Is this you? After you tell someone (who you genuinely think you could help) what you do they often say things like, “wow. that’s really interesting . . . say . . . I’ve got to get some punch . . .” You can tell that, the more you talk about what you do, the more you lose them. When you’re talking with someone you know you could help, you can just tell that they aren’t ‘getting it’. You have a strong sense that they way you’re describing what you do now (in person or in your marketing materials) isn’t as strong, compelling or clear as it could be. What you do is difficult to sum up into a nifty catchphrase (and you’ve likely tried a lot of different ways). It might feel like, “well, either have to say it in 5 words or 5000 words” but you can’t find the middle ground. You hate the idea of crafting a scripted ‘elevator pitch’ you need to memorize. If this is you, I think you’ll find there’s hope. As you work through this 46 page workbook, I predict you’ll begin to feel oceans of blessed relief pouring over you as the words come together and you begin to breathe again knowing that, next time you are faced with this question – you will have a clear and compelling answer. The answers you come up with will serve you equally well in person, in a brochure, on your website or in live talks.